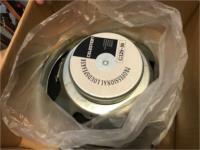 12", 60W, 8Ω, Neodymium magnet, with box. 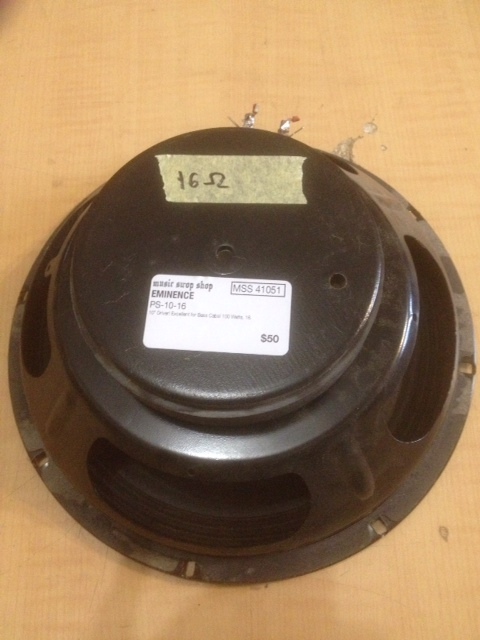 A spare 6.5" speaker for a ZT Amplifiers LBA1 Acoustic / vocal combo. 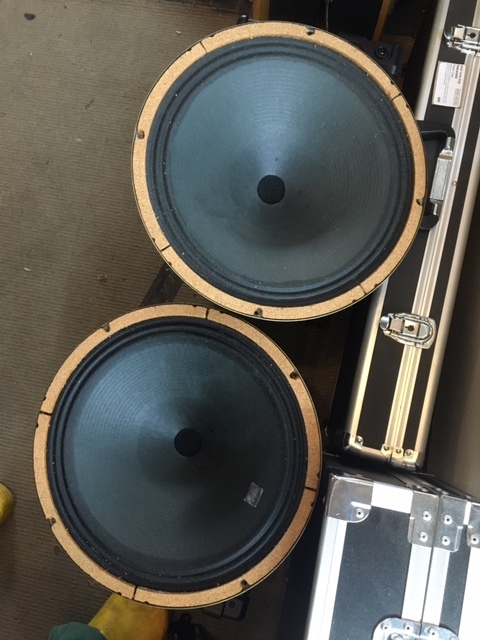 75 Watt 12" @ 16Ω. *Made in UK. Pulled from a 2000s Marshall 1922. 12". Approx 50 watts. 16 ohms. "Manufacturers Special Products" Made in Australia. 12" speaker. 12 Ohms. Small magnet so likely 10 - 15 Watts but unknown. 10-15 watts at 15 ohm. Small repair in one cone! Classic Aussie tone in a small output package! 10" speakers, 16 ohm 250W, from Ashdown 210 cab, unused. 12" speaker. Vintage 1960's~1970's Made in Australia! Clone of the original Celestion Greenback Speakers. 15Ω, 28~32 Watts Handling Power. "Manufacturers Special Products" Made in Australia. 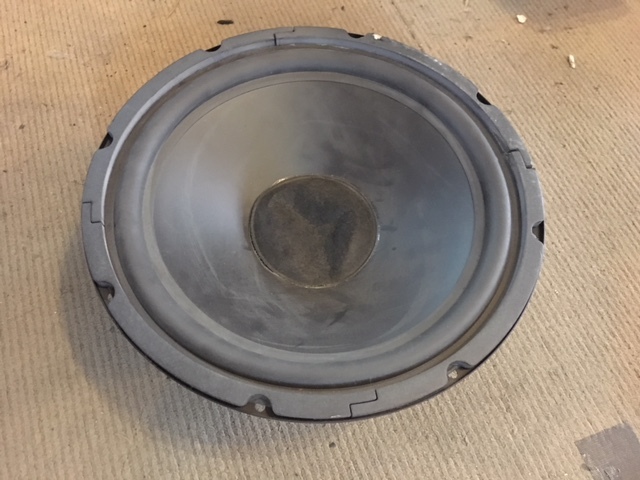 1x12" speaker with 'whizzer' cone and Alnico magnet. With 2x3" high fi speakers. All mounted on a board with nice, classic silver grill-cloth. Made in the UK. 50 watts @ 8 Ohms. A rockin' but smooth sounding Celestion! 16 ohm from a PA monitor wedge, unknown power rating, ceramic magnet. Power Jam 12 inch guitar speaker, for POWER & Jam, 200W, 16 ohm. JamPowah! Enter your email address below to get alerts for Loose speakers.